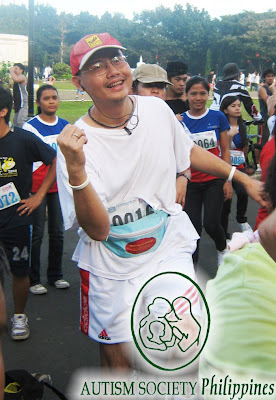 ASP joined PVI Foundation RUN4SPEC, at Quezon Memorial Circle last December 5, 2010. 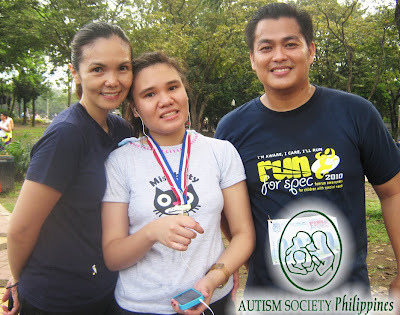 RUN4SPEC is a Fun Run Awareness for Children with Special Needs said Ms. Derly Salud, one of the founding members of PVI. 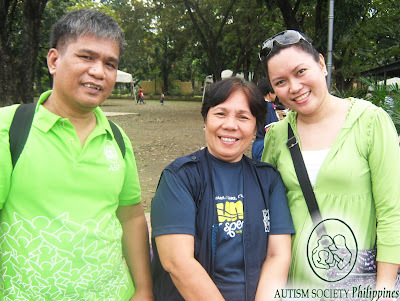 ASP National President, Mary Grace Adviento and ASP Executive Ranil Sorongon visited the event to show support for the 120 participants both in 2K and Buddy Run. 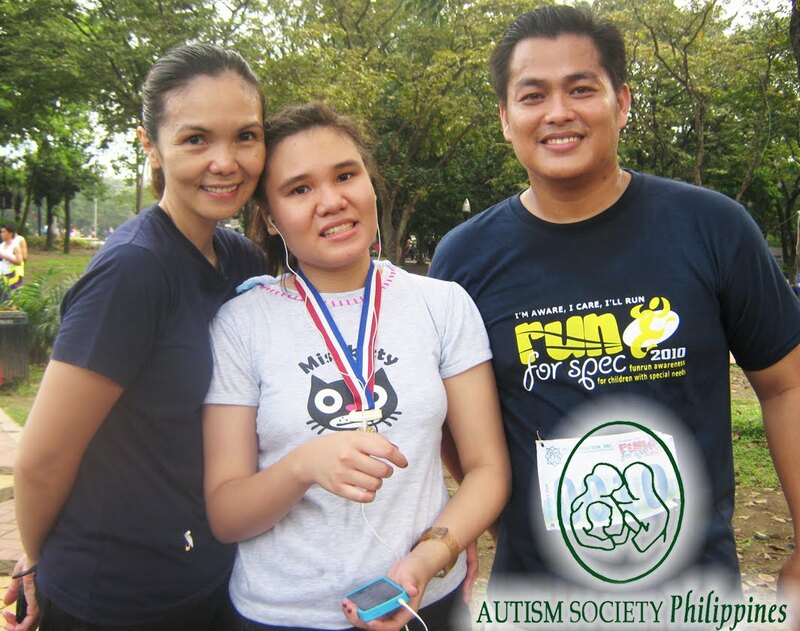 A Total of 70 Children with Special Needs from Elsie Gaches Village, Trichet Learning Center, San Juan Pinaglabanan, Haven for Children and Virlanie Foundation joined the 500 Meters Buddy Run and the 2 Kilometer Run – with college students from Ateneo Special Education Society, St. Paul Manila, STI Taguig and STI Pasay. Distance didn’t hamper Teacher Randy Tallorin from participating; he traveled all the way from Bataan to show support. ASP members who joined the much anticipated event were SPARKLE Band’s keyboardist, Desly Bianca Lim Alvarado with mom Donna; and health buff, Herbert Tui, father to 12 year old CWA Kimberly Grace. PVI Foundation Inc. (formerly known as Pagkakaisa Volunteers Inc.) is a non-stock non-profit organization, composed of volunteer students and professionals committed to the welfare and development of children with special needs: children who are mentally and physically challenged; children with Autism or with Down Syndrome; street children, and the abandoned from different government and private institutions, special schools and private homes. PVI is an active member of ASP and its members regularly volunteer in ASP special events. The RUN4SPEC event culminated with awarding and gift-giving to the participants. Congratulations to PVI and thank you for supporting children with autism and their families.